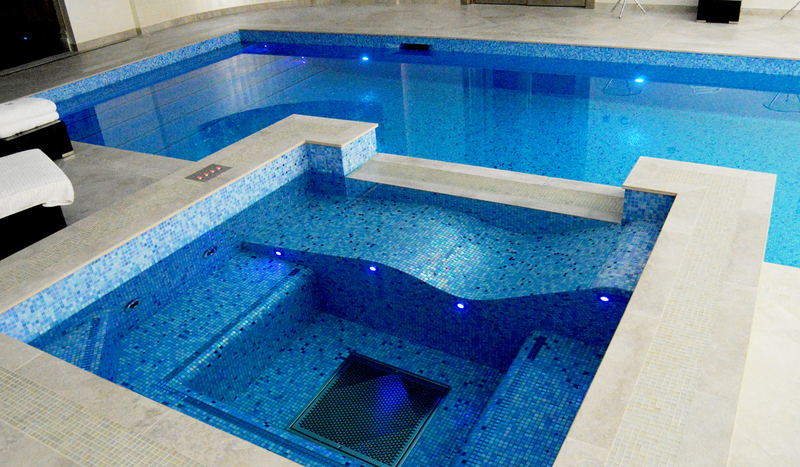 A bespoke project to meet the clients requirements features a fibre optic floor in the swimming pool and a fitted lounger in the Jacuzzi. 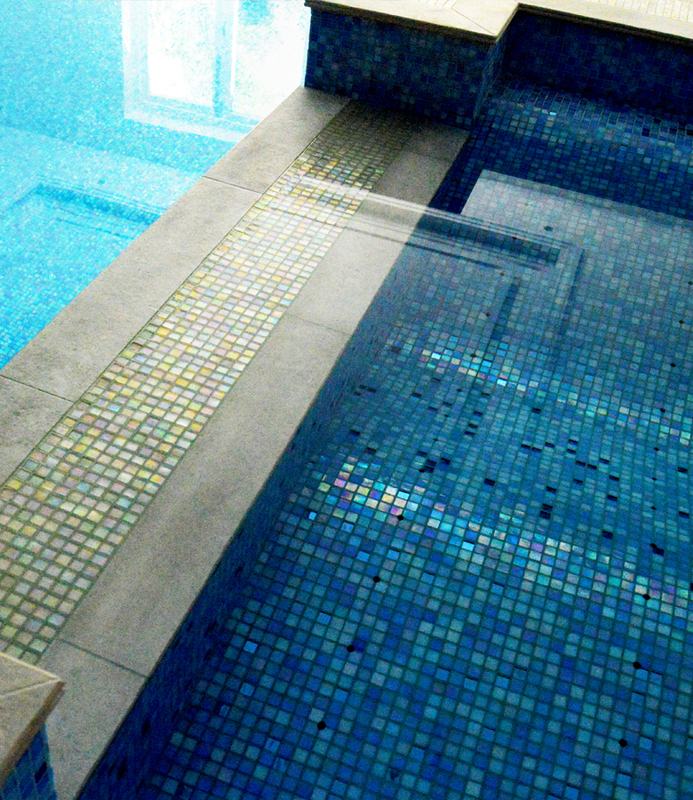 Swimming Pool Design London were excited upon the commission of this luxurious bespoke swimming pool and jacuzzi in the Wentworth Estate. 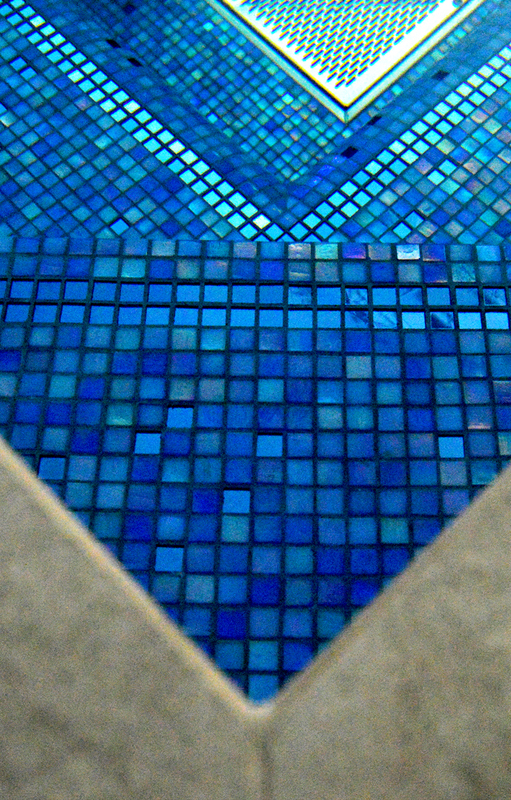 This fabulous swimming pool lined in Sicis Mosaic features an integrated jacuzzi which cascades on command into the pool. 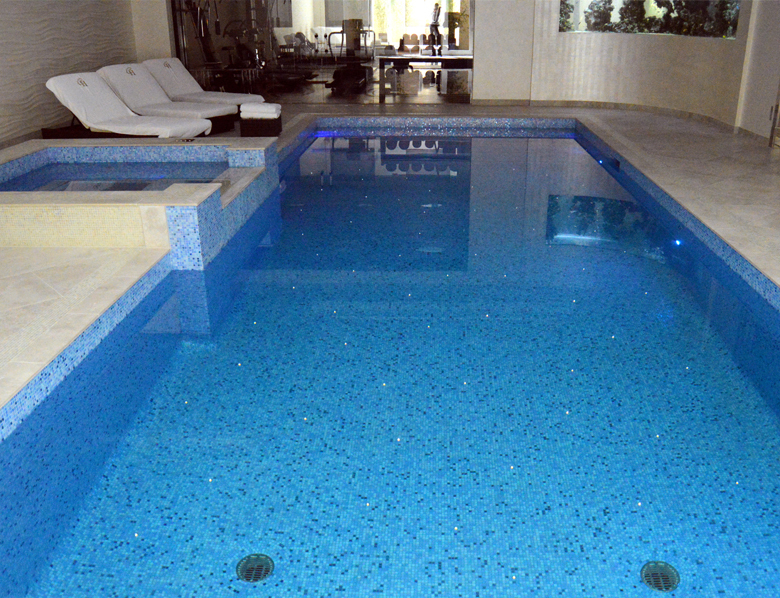 For added visual effect the swimming pool floor features fibre optic floor lighting giving the appearance of a starry night sky. 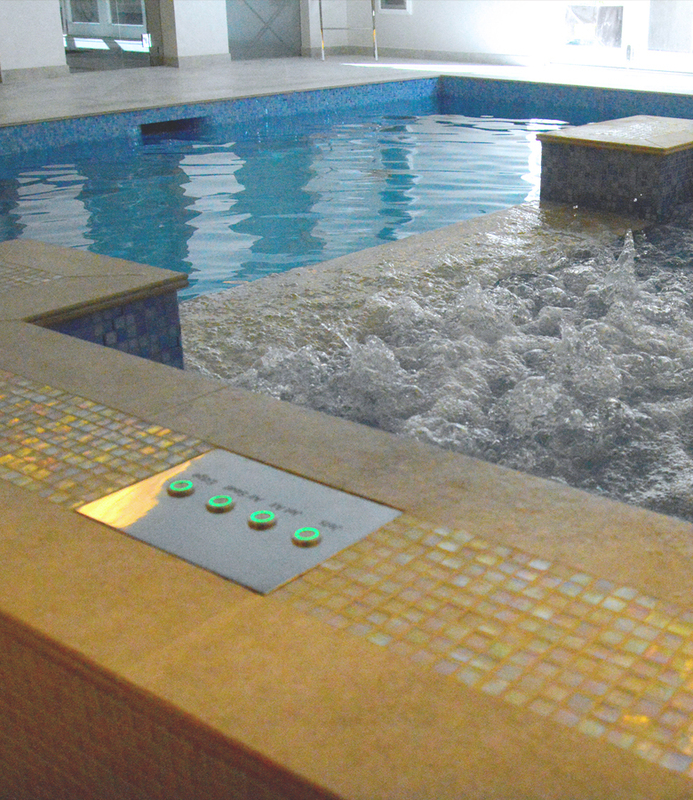 The Jacuzzi lounger was custom shaped to the clients body contours ensuring a perfect and comfortable fit..